Hi Ned, thank you for agreeing to talk to me as part of the blog tour for House of Secrets. I’m probably going to ask you to pick between your babies now, but which do you prefer, writing scripts or writing books? Yeah, you’re not going to get me to pick between those two. Books are wonderful but they take a long time. A script for a TV drama is written in a week! I guess writing on a TV series you are used to co-writing with others – do you think this helped or is each writing partnership different? It definitely helped me in writing House of Secrets to have written with my TV partner, Nick Antosca, on Teen Wolf and Last Result. I’m actually doubly stepped in co-writing, because I have a writing partner in TV and then when you actually write for TV, you do it in a room with lots of other writers. So I’ve been learning since 2008 how to subsume my ego into the greater requirements of the work. Chris Columbus had written screenplays before (including two of my all time favourites – Gremlins and The Goonies) but not novels. What do you think was the biggest thing that he had to learn? Chris had to learn how to be a prose writer! He got good very quickly. He can now do in prose the kind of quips he was always known for in his movie dialogue. I think (correct me if I’m wrong) that you did things the other way around, novels and then screenplays? So same question what was the biggest thing you had to learn? The biggest thing I had to learn to write for TV & film was to put emotion over language. In a book, a good turn of phrase can be enough for a reader. But in TV & film, your viewer has signed up for a precise emotional roller coaster. The emotions of each scene are more important than the words used. I read the novel over two days and it would have been hard to read it slower as it is very fast paced. It also reads very visually. Was it always the intention to film the books? If so do you think that affected how you wrote it? House of Secrets wasn’t written with the intention to be filmed, but it was written to be read the way you read it! Thank you! I also felt that a couple of the scenes were quite gruesome – do you think it is easier to include these in a book than in a screenplay? The predicaments that Johnny and the Professor got into in John Bellairs’ books were gruesome. It’s certainly easier to include gruesome scenes in a book than in a screenplay—it’s easier to do any kind of scene in a book than a screenplay, where you always need to think about produce-ability. All of the early press releases I’ve seen suggested the family would be called Pagett but in the version I read they are the Walkers. Is this just a UK thing or how did this change happen? We were worried that people would pronounce “Pagett,” which is actually pronounced “PAA-jet,” so that it would rhyme with a certain homophobic slur. So we changed it to Walker late in the game. What scene are you most looking forward to seeing on film? Mine would be those with Fat Jagger. I would love to see the pirate Captain Sangray on film! I enjoyed the fact that books played such an integral part in the story and the fact that despite her dyslexia Eleanor perseveres with her reading and writing which benefits the family in the story. The three children have different relationships with books too. What books that you’ve read would you like to write the screenplay for? 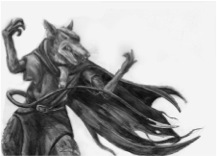 I would love to work on a screenplay for Redwall, or any of John Bellairs’ books! What can we expect from the next two books in the trilogy? You can expect some interesting questions about loyalty, wealth, and worldly temptation. It’s not only The Book of Doom and Desire that can lead a person astray. I always wanted to write something that could have its own action figure. 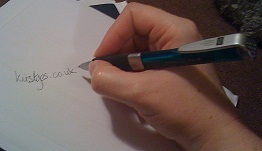 Finally a question I always like to ask writers (my PhD will be looking at this) – Why do you write? I write to beat death. Ned Vizzini is the bestselling author of the acclaimed young-adult books The Other Normals, It’s Kind of a Funny Story (also a major motion picture), Be More Chill, and Teen Angst? Naaah…. In television, he has written for ABC’s Last Resort and MTV’s Teen Wolf. His essays and criticism have appeared in the New York Times, the Daily Beast, and Salon. He is the co-author, with Chris Columbus, of the fantasy-adventure series House of Secrets. His work has been translated into ten languages. He lives in Los Angeles. A huge thank you to Ned for taking the time to answer all of my questions – I’ve got a couple of gruesome books to follow up and the answer to the change of family name question wasn’t what I thought it would be at all – great reasoning though. I write to beat death – what a powerful response but I know exactly what you mean. If you want to follow Ned’s blog tour I added the links to my previous blog post here. 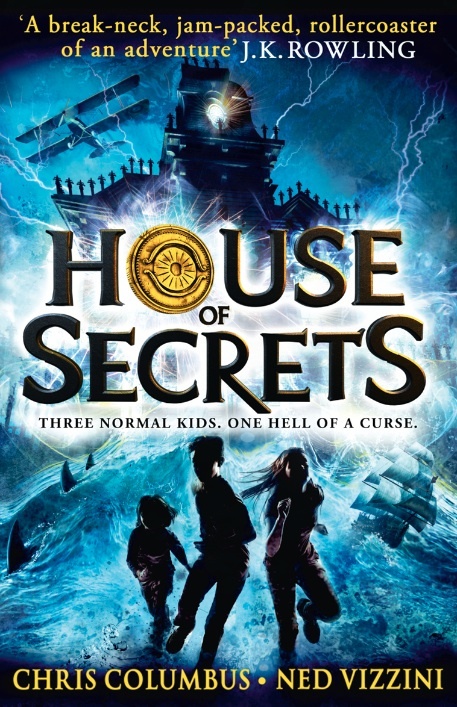 House of Secrets is released on 25th April and J.K. Rowling calls it ‘A break neck, jam packed, rollercoaster of an adventure about the secret power of books.’ I concur – my full review of House of Secrets will follow shortly. Posted on April 21, 2013, in Author Interviews and tagged Chris Columbus, House of Secrets, Ned Vizzini, Scriptwriting. Bookmark the permalink. 3 Comments.